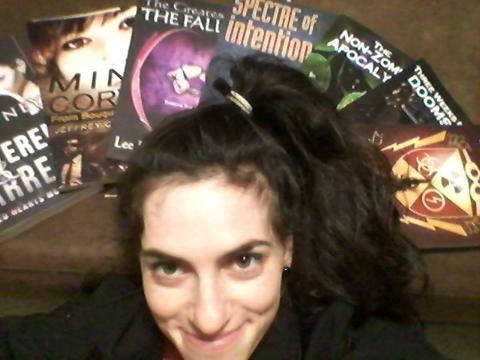 I met some nifty new authors and snagged some neat looking new books! I met up with the narrator (Brenna Mae) for my book Ataxia and the Ravine of Lost Dreams. 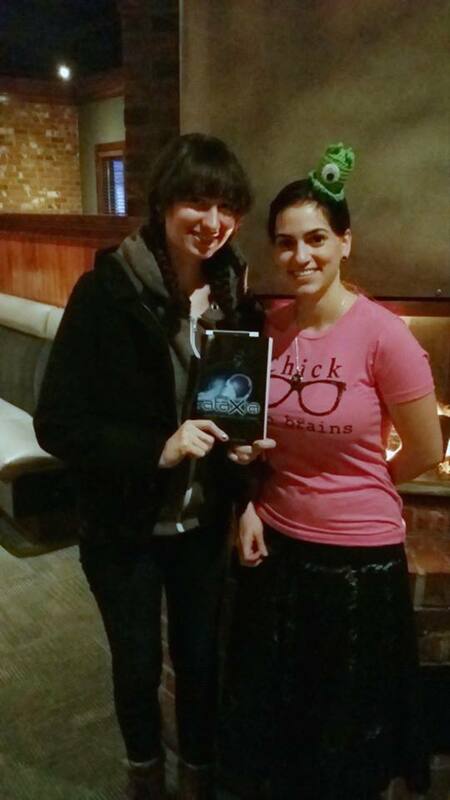 I gave her a copy of the book and we took a picture together, Photo courtesy of Brenna.